Once there was a girl named Lilly. She was a very happy girl. Lilly is a children's book like no other. Set in an idyllic neighbourhood, Lilly's life is drastically changed when she finds out that social institutions are not always what they seem. Faced with ever escalating brutality from the evil Police, Lilly undergoes a metamorphosis in order to track down their villianous leader and bring peace and love to all of humanity. 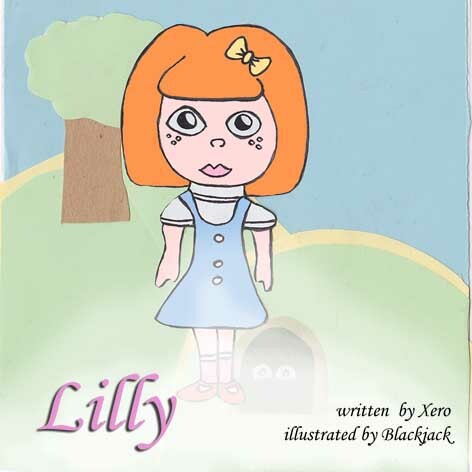 With it's exciting illustrations, Lilly will captivate children and adults alike. You and your family will find hours of entertainment finding the many secrets hidden in every page of this book. This spellbinding book is sure to be a favourite for many years. Pre order your copy today!